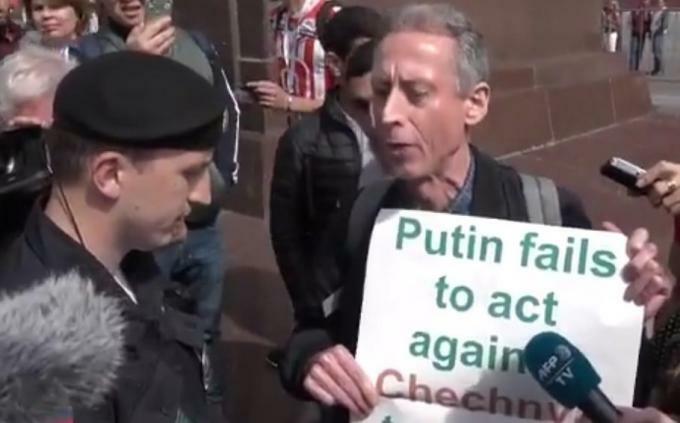 Despite international pressure, the detention and torture of suspected gay men by the Chechen government since late March has continued, and more secret concentration-camp style prisons have been discovered. Over 100 men suspected of being gay have been rounded up and detained by the Chechen authorities, with many tortured and some killed. Chechnya has an authoritarian and extremely repressive state presiding over a deeply homophobic society, but this development is shocking even in this context. Some of the suspected gay men were killed in violent raids, whilst others have been kept in secret “concentration-camp style” prisons, where many have been subjected to electric shocks and violent abuse, with some beaten to death. During the recent row in the student movement about Kurdistan, five members of NUS national executive who are active in NUS’s Black Students’ Campaign issued a statement. That doesn’t sound right — and it isn’t. In fact there have been several occasions since 1945 when European countries have been the victims of aggression by neighbouring big powers. Parliamentary elections were held in Chechnya on 27 November. 356 candidates representing seven different parties competed for election to 40 seats in the Popular Assembly (the lower house) and 18 seats in the Republic Council (upper house). Clear winners in the elections, with 60% of the vote, were the pro-Putin United Russian Party. The Communist Party came second with 13% of the votes, and the Union of Right Forces came third with nearly 12% of the votes. Aslan Maskhadov, a long-standing Chechen separatist leader and one-time president of Chechnya, was killed by Russian forces on 8 March in the south-Chechen settlement of Tolstoy-Yurt. Maskhadov was born in Kazakhstan in 1951. His family had been victims of the mass deportation of the Chechen people carried out by Stalin at the close of the Second World War. Maskhadov’s family survived and was allowed to return to Chechnya in 1957. At least 338 people have died since gunmen claiming to champion Chechen national rights seized a school in North Ossetia (a territory neighbouring Chechnya) on 1 September and took pupils, teachers and some parents hostage. Nearly 400 people are still missing according to teachers at the school. Many of the dead and missing are children. The series of “reforms” announced by Russia’s President Vladimir Putin in the aftermath of the Beslan school massacre have nothing to do with fighting terrorism. They are another stage in the evolution of Putin’s authoritarian and semi-dictatorial regime. The Washington Post summed up the ‘reforms’ as: “An unambiguous step towards tyranny in Russia. There is no complexity or fuzziness about the significance of Putin’s actions. Putin is imposing dictatorship the old-fashioned way. …Russia needs to fight terrorism.